WHY HELP DOGS IN MEXICO? There just is no point in trying to recreate a wheel; it is perfect, and that's how we feel about our special angels in Northern California, Compassion Without Borders, cofounded by Christi Camblor. Our group is not affiliated with them other than trying our best to use them as a shining example of the right way to save dogs whether from Mexico or right here in our own backyard throughout California. It's difficult to articulate why we became so passionate about rescuing from Mexico when there are many needy dogs in California, also. Hopefully the following quote will shed some light on a similar journey taken by many people in the United States who rescue from Mexico. "fenced outskirts just feet from US soil. Standing [...], surrounded by desperate, suffering animals. Animals that were literally starving to death, covered in mange and inflicted with preventable disease-- disease they hadn’t been vaccinated against and would never be treated for. Hundreds and hundreds of homeless animals scrounging the streets and trying to survive. There were injured animals, limping and wounded, searching for food. There were packs of puppies roaming, emaciated mother dogs sniffing every inch of the ground for nourishment, to no avail. the local animal control center where I had seen large groups of dogs crowded in pens in horrific conditions. There were dead dogs in with live dogs, sick and injured dogs mixed with healthy ones. There were convulsing animals. Animal corpses were decaying in the aisles. The animals had no food and they were all filthy and frightened. 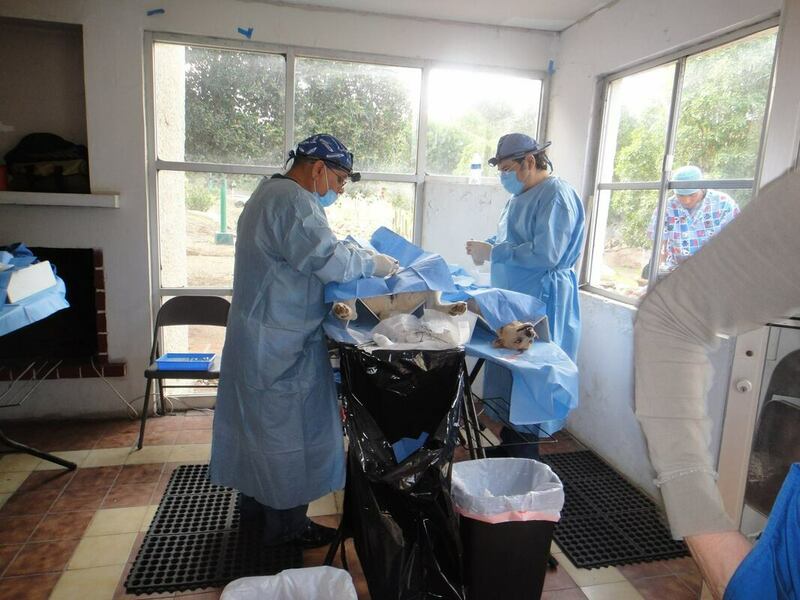 These animals, like animals in Mexican animal control centers all over the country, were simply being warehoused until they could be killed via the commonly practiced method of electrocution. How can the situation for animals be so bad just a stone’s throw from the United States? And, I knew, if people could just see what I see and know for one minute the kind of suffering we are working to alleviate, they would never again ask me why I do what I do, nor would they care about arbitrary borders or national divisions.These animals are in our backyard. Mexico is our neighboring country. We have the tools, the experience, the knowledge and the resources to help them. So, of course, without question, we should."